A Grand Argument Story is a conceptually complete story with both an emotional and logical comprehensiveness. There are a number of qualities which determine whether a story is a Grand Argument or not. 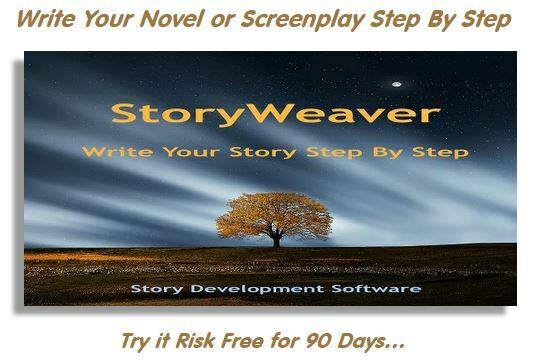 These are seen in the story’s Structure, Dynamics, Character, Theme, Plot, and Genre. The above is a pretty confusing paragraph, even though its accurate. More precisely, it is confusing BECAUSE it is accurate, which is true of a lot of the concepts in Dramatica. Dramatica is a whole new way of looking at what stories are and how they work. As such, many ideas are completely foreign to familiar narrative thinking, while other notions had to be redefined from the common understanding. In this first paragraph, what it is really saying is simply that a Grand Argument Story (one of the concepts we created) fully supports its message or moral in every logical or emotional way any reader or audience member might need to buy into it. What sets this apart from other kinds of stories? Conversationally, to be a story, a written work needs be no more than a description of a series of events. But a Grand Argument Story needs to, literally, make an argument that a particular way of responding to those events is the best of all possible alternatives. And for this argument to be successful, it has to make complete sense and feel right as well. Simple, really, but again, we wanted accuracy in our description of the Dramatica Theory so it would be treated with some academic validity. And so, we wrote it like a text book, rather than an armchair book. As a result, the text often reads like that first paragraph – so precise it’s hard to make sense of! Now the last part of that first paragraph states that the (so far) unspecified qualities that define a Grand Argument Story can be found in structure, dynamics, characters, theme, plot and genre. What the heck does THAT mean? Again, that statement is true, buy really obtuse. All it means is that the things we call characters, theme, plot and genre are collections of dramatic elements which make up that argument about the story’s message. But, it also bandies about the terms Structure and Dynamics as if they are the most familiar ways of talking about stories and as if you (our reader) is expected to already know exactly what we mean by them. Fact is, when Dramatica Theory speaks of Story Structure, it doesn’t at all mean what most everyone else means by that term. It is more like speaking of physics than of story. Simply put, Dramatica sees stories as being made up of two different kinds of narrative components: structure and dynamics. Structure covers all the story points like Goal, Consequences, Thematic Topic, and Main Character Drive, for example. Dynamics, on the other hand, covers all the dramatic forces that move those story points around such as Main Character Approach as a Do-er or a Be-er. What does THAT mean? It means that some folks like to solve problems by taking action and other like to solve them by taking a position. Do-ers might be like a guy who gets mad and goes out jogging to work it out of his system. Be-ers might be like a parent who sees their child climbing a dangerous fence who stifles the desire to run out and pull him to safety because that parent knows the child needs not to be overprotected to grow up well. Structure: the underlying relationship between the parts of a story describe its structure. A Grand Argument Story has a very specific structure which will be explored thoroughly in the first half of this book entitled The Elements of Structure. Dynamics: the moving, growing, or changing parts of a story describe its dynamics. A Grand Argument Story has eight essential dynamics which are explored in the second half of this book entitled The Art of Storytelling. Character: Grand Argument Stories deal with two types of Characters: Overall Story Characters and Subjective Characters. These Characters provide the audience with the experience of moving through the story in both a passionate and an intellectual sense. Yep. Once again it makes perfect sense but couldn’t possibly have been written in a way to make it less understandable or useful. In a nutshell, all it says is that Grand Argument Stories make a distinction between characters you don’t identify with that have a functional or logistic role in the story and the other kind of character through whose eyes you experience the story first hand, almost as if it were happening to you. We cover that concept in much greater detail and depth later in the book, so for my money, this whole Grand Argument section probably should have been edited out. Theme: Theme, in a Grand Argument Story, is tied to every structural and dynamic element. Theme provides the various biases and perspectives necessary to convey the story’s subject matter or meaning. Here we go again. Theme is such a commonly spoken of concept, yet try to find any agreement in what it really means. Dramatica actually cracks that nut – Theme is all about the in-betweens: about how every dramatic element relates to every other. It is about weighing one arrangement against another to make an argument about value standards – is this collection of traits better than that one in this particular situation? You see, whether we are ordering cable TV, Chinese food, or deciding on a mate, we’re not going to get all we want and none of what we don’t want. We have to decide on the best package of the most of what we want most with the least of what we want least. That’s what theme is all about, Charlie Brown. If value standards were single items compared to other single items it would be easy to choose the right thing to do. But life isn’t that simple. We are always faced with trade-offs, ramifications and compromises. Choosing the best collection is what having a personal or moral code is all about. And that’s why an author has to make a thematic argument to tout his or her favored collection of behaviors and responses against alternatives if the message is to have any impact. And so, every dramatic element is connected to every other in the big Dim Sum of narrative. THAT is what we were trying to say here in very accurate, concise and sterile language. Plot: Plot in a Grand Argument Story is the sequence in which a story’s thematic structure is explored. 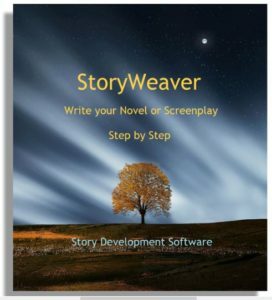 Plot details the order in which dramatic elements must occur within that story. This one’s pretty good, actually. I might add that we were hinting that there’s a difference between the order in which events occur to the characters in the story and the order in which they are revealed to the reader or audience. We call the internal timeline within the narrative “plot” and the way that order is shuffled up in, say, a mystery, “storyweaving.” Much more on that later in the book. In fact, there’s a whole major section on it. Genre: Genre in a Grand Argument Story classifies the audience’s experience of a story in the broadest sense. Genre takes into account the elements of structure, dynamics, character, plot, and theme to define significant differences between various complete Grand Argument Stories. True, so true… yet apparently meaningless – bunch of high-falutin’ double-talk. Actually, no. Genre is a weird bird; it is the confluence of structure and storytelling. Some genres, like Westerns, are all about setting, time period, and set pieces like barroom brawls, gunfights and horse chases. Others, like Comedies are about the way they make the reader or audience respond. And still others, like Buddy Stories, are all about relationships among characters. What a confusing mess! In fact, each genre is really a grab bag of structural and storytelling items, all jumbled up into a blender that “feels” a certain way to the reader or audience. Fortunately, Dramatica has devised a way (actually Dramatica didn’t devise anything – technically, we did) to separate the structural aspects of any genre from its storytelling aspects in order to create unique genre “personalities” for each and every story. Pretty cool, really, and you’ll learn all about it down the line. But, the way it says it above – sheesh! These parts of a Grand Argument Story combine in complex relationships to create its Storyform. A Storyform is like a blueprint which describes how these parts shall relate in a particular story , regardless of how they are symbolized for the audience. It is such a Storyform which allows such different stories as West Side Story and Romeo and Juliet, or Cyrano de Bergerac and Roxanne to share the same meaning while bearing little resemblance to each other. What these two pairs of stories share is virtually the same Storyform. Well, we finally arrive at the summation. In brief, this defines what you get when you create a Grand Argument Story that includes all of those parts and pieces we’ve just described: you get a Storyform. Whazzat? A Storyform is like a schematic of a narrative. It shows every component, what it does, and describes how they all work together to create the flow that is its function: to convince readers or audience of the author’s point-of-view through a first-hand experiential journey through the material. This entry was posted in Dramatica Theory, The Story Argument. Bookmark the permalink.